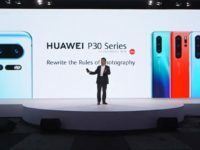 Huawei has officially launched their flagship camphones the P30 and P30 Pro in Malaysia a week after their official global debut in Paris on 26 March 2019. 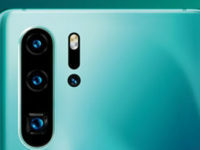 In the lead up before all the way to the launch, there were a deluge of leaks about its capabilities, in particular its impressive optical zoom on the rear cameras with the P30 Pro packing an impressive 5x optical zoom and 50x hybrid zoom. DxO Mark has even lauded the P30 Pro’s cameras with one of their highest scores ever at 112 points, making it the most powerful camera phone in the market at this point in time. 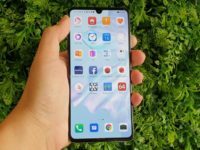 For the uninitiated, the P30 and P30 Pro run Android Pie 9.0 on Huawei’s latest HiSilicon Kirin 980 2.6Ghz octacore processor and both have a front-facing 32-MP selfie camera enhanced with their AI+ HDR tech that uses machine learning and a bunch of other tricks to offer better selfies and snaps on the rear camera. 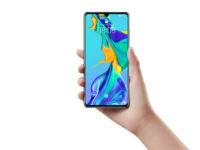 Essentially the P30 Pro is a P30 on steroids with a bigger curved display, more storage and RAM, a larger battery, reverse wireless charging to charge other tech, a better rear camera array with better optical zoom and better water resistance with the P30 Pro packing IP68 and the P30 IP53 water resistance. Where they differ is that the P30 has a 6.1-inch Full HD+ OLED display with a centre mounted notch and an in-screen fingerprint reader, has XGB RAM and 128GB of storage expandable via their proprietary NM cards and a Leica triple rear camera with a primary 40-MP F/1.8 camera with OIS, a secondary 16-MP with a 16mm ultra wide angle lens and an 8-MP camera with a 3x zoom telephoto lens that also has OIS. Combined, the P30’s camera array is able to capture shots at a low 204,800 ISO. Power is provided by a 3,650mAh battery with 22.5W fast charge tech. The more powerful P30 Pro upguns everything with a 6.47-inch FHD+ curved OLED display along with a similar centre-mounted notch for the selfie camera plus in-screen fingerprint reader as well as two storage configurations – 8GB RAM/256GB and 8GB RAM/512GB storage expandable via the aforementioned NM cards. The rear Leica quad camera array consists of a 40-MP f/1.6 primary camera with OIS, a 20-MP with a 16mm ultra wide angle lens, an 8-MP telephoto lens with 5x optical zoom paired with OIS and a fourth ToF (Time of Flight) 3D camera. Other mod-cons include 15W reverse wireless charging over its P30 sibling, the ability to capture shots at up to a whopping 409,600 ISO and a large 4,200mAh battery with fast 40W charging. During the Malaysia launch, Huawei announced that the P30 will retail at RM2,699 with 8GB RAM/ 128GB storage and the P30 Pro will come in two variants with the 8GB RAM/256GB retailing at RM3,799 and the higher end variant with 8GB RAM/512GB for RM4,399. Three colours are available for Malaysia with the P30 and P30 Pro coming in Black, Aurora and a sky blue finish dubbed Breathing Crystal though the higher specced P30 Pro 8GB RAM/ 512GB only comes in Aurora for Malaysia. For early bird buyers, the P30 and P30 Pro will come with a freebie bundle that will consist of a Huawei Backup 1TB drive/charger worth RM599 and a free premium casing depending on which model you buy. Buyers of the P30 will get a wireless charging back cover worth RM268 while buyers of the P30 Pro get an impressive deep diving snorkelling cover worth RM428 that preps the phone for usage in the briny deeps. As of today, the P30 is available nationwide while the P30 Pro is available from 6 April 2019 onwards. 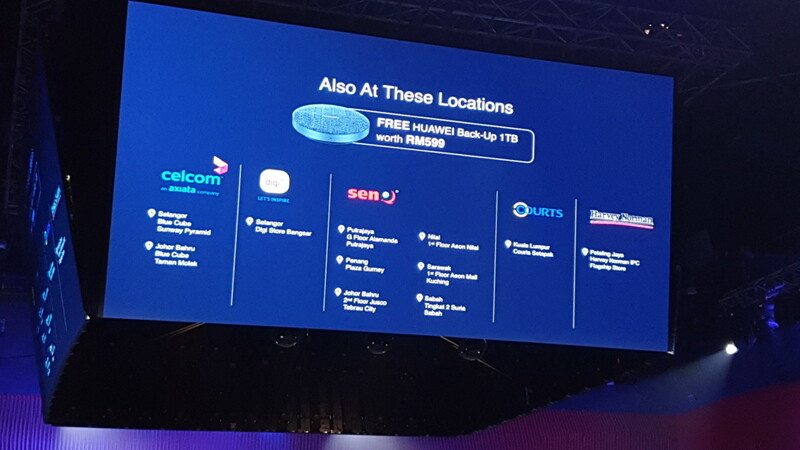 Also of note is that Huawei is emphasising a value-added membership programme with owners of the new P30 and P30 Pro enjoying a host of perks from brand partners like discounts and more.